The most tax efficient withdrawal from your company in the 2019-20 tax year (6 April 2019 to 5 April 2020). What is the most tax efficient withdrawal of money from your company in the 2018-19 tax year (6 April 2018 to 5 April 2019). 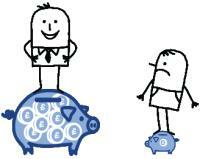 Making pension contributions directly from your limited company can be very tax efficient. ​From April 2016 companies that only have one person on the payroll can no longer claim the Employer's National Insurance Allowance. Information means everything to you. If you want to understand why your business is doing so well or maybe not where you want it to be then the information from our bookkeeping system is the key. There are also some important laws regarding information or data and its protection. Lots of important dates to be aware of - good to keep referring back to. ​Total Freelance and 123 Contracting have partnered up to create money-saving accounting services for independent professionals. This is our final reminder of the fast approaching personal tax return deadline. The deadline is 31 January 2016 and if your return is not filed by then you will get an automatic £100 penalty from HMRC. ​If you are applying for mortgage then you will more than likely be asked to provide several SA302s and a current HMRC tax overview. What are these I hear you say?? Personal tax return - deadline will be here before you know it! The personal tax return deadline is approaching and it will be here before you know it. Don't leave your return until the last minute - send over your information ASAP. ​We would like to take this opportunity to wish all of our clients, our partners, staff and followers a very merry Christmas - we hope you all have a lovely break and we look forward to a prosperous 2016 for all freelance contractors! ​Choosing a Contractor Accountant can be a difficult process - what should you look for, what are the main differences between the different specialist firms and why should I choose one firm over another? ​Contractor Financials have announced the launch of a new mortgage product through Clydesdale Bank, available exclusively to Contractor Financials clients. Personal tax return season - have you sent us your information? ​Personal tax return season is well underway with almost three quarters of all our client's personal tax returns submitted already - not bad when the deadline is 31 January 2016. Personal tax return season 2014-15 well underway! ​Recently we have had a few clients that have moved to 123 Contracting from other accountancy firms, require references for renting a new flat or starting a new contract with a new client. Each of these client's was shocked to hear that we do not charge an additional fee for providing these references. Over the last few years 123 Contracting has grown from strength to strength, as we do not undertake any paid for marking this is due almost entirely to our happy clients referring their friends and colleagues to us. ​David Morris MP former ambassador for National Freelancer Day is to chair an All Party Parliamentary Group who's aim is to fight for freelance contractors and give them a voice in Westminster. ​According to statistics from Citizens Advice, HMRC has received more than 11,500 messages on Twitter in the last year. ​A recent National survey undertaken by the Association of Independent Professionals and the Self Employed (IPSE) has shown that freelance contractors are concerned about having sufficient finances for retirement - over half (54.4%) held this opinion. It's nearly that time again - it's Personal Tax Return Season! We will start preparing our client's 2014-15 personal tax returns from the start of September, we will be in touch by email to request the information we need to file your return. ​If you have been thinking about buying a house or flat but have not got around to looking into mortgages or if you need to remortgage then now is the time to do so. ​Have you been thinking about making the jump to freelancing for the last few years but are a little scared of what might happen if you do? When it comes to making pension contributions you have two choices; 1. make them personally from your savings or income or 2. have your Limited Company make contributions directly to your personal pension. ​Taking on an employee might seem very daunting but there are some great tax reliefs which make it cheaper than you may have thought. P11D and P11D(b) need to be with HMRC by 6 July 2015. ​If you are VAT registered then you need to keep in mind the rules on VAT for expenses charged to a client. ​Going Limited - what is the time scale for the process? Step 1: We set up your Limited Company by filing the incorporation application with Companies House (we do this for free). ​In recent months we have seen a large rise in the number of clients enquiring about how they can decrease the amount of personal data that is in the public domain. ​It's P11D time! Over the coming weeks we will be in touch with those clients that will need to submit a P11D and a P11D(b). We will of course be preparing the returns for you ​and simply sending them to you to review and approve and then for you to post directly to HMRC - all the detail will be in our P11D email which you will receive in the coming week or two. ​If you take on a client that is based outside of the UK they may insist on paying you in their local currency - Euros, Dollars etc. what is the best way to receive this money so you don't end up loosing a chunk of it in the exchange rate and associated fees? I wanted to say a big thank you to all of those who have posted recommendations for me and 123 Contracting on our LinkedIn page over the last month or so. Headline tax rates and thresholds for the tax year 6 April 2015 to 5 April 2016. ​If you are thinking of applying for a mortgage shortly then you will need to provide a range of documents to support your application. It has long been the desire of George Osborne to change the Inheritance Tax system in the UK. Will he use his final budget before the election to role out a complete overhaul of the system? Mortgage advice for freelance contractors - READ THIS! ​In January we published an article about the issues with trying to secure a mortgage when you are a freelance contractor. This article got great feedback and we and our specialist mortgage advisers were able to assist a number of client who had been told by high street banks they could not borrow. ​So you've been freelance contracting for a couple of months now, dipping your toe in the water using an Umbrella Company and have realised that you really enjoy freelancing and want to move forwards with it. The answer is to switch from the Umbrella Company to your own Limited Company. End of the tax year is fast approaching - have you used all of your personal tax allowances and tax thresholds? ​We're fast approaching the end of the 2014-15 tax year - 5 April 2015 - if you have not used up your personal tax allowances by this date you will loose the benefit that they provide. This is our final reminder of the fast approaching personal tax return deadline. The deadline is 31 January 2015 and if your return is not filed by then you will get an automatic £100 penalty from HMRC. Thinking of buying a house? Need a mortgage? Your first point of call should NOT be a high street bank! ​We have had a number of questions in the last month about the process involved in joining the VAT Flat Rate Scheme if you are currently on the Standard Scheme. The vast majority of freelance contractors in the UK are registered for the VAT Flat Rate Scheme (FRS). This allows them to keep a percentage of the VAT that they have to charge to their clients which gives them an extra income stream without having to do any additional work. When you move home there is so much to think about, one of the last things on your mind might be ensuring that HMRC and Companies House have the correct address for your business. Christmas will fast be up-on us and one of the last things you may want to be thinking about is your personal tax return. Taking on an employee might seem very daunting but there are some great tax reliefs which make it cheaper than you may have thought. There are a number of reasons why someone might start freelancing as a sole trader but why should you think about switching to a limited company? Self Assessment tax return - the time is now! Personal tax return time - have you sent us your information? If not act now! To gain industry exposure Robert Grieves created an animated short film and almost found himself with an Oscar. Charitable donations made from your Ltd Company to a registered charity are always a tax deductible payment. The charity enjoys 100% of the donation and your company enjoys 20% Corporation tax relief. George Osborne has announced in his speech at the Conservative Party Conference in Birmingham, that the 55% inheritance tax levied on defined contribution pension pots will be abolished. Have you sent us your information so we can prepare your return for your review and approval? ​We are delighted to announce that after 6 months of negotiation by ContractorFinancials a new Contractor friendly Lender is coming to the market with an exciting range of offset mortgage products tailored to the needs of Contractors and Freelancers. Self Assessment - have you sent us your personal tax information? 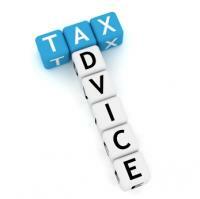 Emails requesting personal t​​ax return information for the tax year 2013-14 were sent on Monday 8th September. You may or may not have heard that the Professional Contractors Group has rebranded itself as IPSE the association of Independent Professionals and the Self Employed. 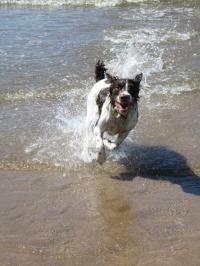 ​It's nearly that time again (not the start of the football season!) - it's Personal Tax Return Season! ​Over the past few months we have seen a growing trend in new clients partially moving from permanent employment to freelance contracting. Daily headlines are suggestive of an imminent interest rate rise to ease the accelerating housing market, and to also calm down the fear that the UK economy “could be more vulnerable to income and interest rate shocks” as more households increase their level of debt. You could be one of the UK’s higher-rate tax payers missing out on £225 million in tax relief each year by not paying in to a pension. The insurer Prudential recently surveyed 302 higher-rate tax payers and found that 1 in 10 make no contribution to a pension. Rolling this figure out nationwide at least 90,000 higher rate taxpayers could be paying nothing into a pension, this equates to missing out on £2,510 in tax relief a year. When making the decision to go it alone as a Contractor, one possible concern is the lack of fall back on an employee benefits package. Over the years you may have been sold policies such as payment protection insurance but these will no longer be valid now that you are a Contractor. The one protection policy every working Contractor in the UK should consider is the very one most of us don’t have – income protection. The self-employed are facing a pensions black hole unless they start making provision and saving for retirement now. Just over a third of the nation’s 4.5 million self-employed are adequately prepared according to recent research by Scottish Widows. If you are VAT registered then you need to keep in mind the rules on VAT for expenses charged to a client. If you were actively looking at new properties over the bank holiday weekends or made the decision to make that next move, the time has never been better to sell your property. The market has not been as buoyant for years and the tide has clearly turned. If you are considering saving some of your contract rate away and are uncertain where to invest then a cash ISA could be the answer. The cost of lunch can be claimed when you are working at a temporary workplace. Company vans are taxed very differently to company cars and can be more tax efficient, below are the two options if you are thinking about buying a van. IR35 is now a well-known term in the contracting world, the tax legislation having been a hindrance to limited company professionals for over a decade. The term ‘IR35’ is the name given to the ‘Intermediaries Legislation’, a tax law introduced by HMRC targeting professionals who work through personal service companies (PSCs) as a way to avoid paying as much tax. Insurance is an effective form of protection for almost all areas of business, contracting being no different. Working as a contractor comes with the responsibilities and professional duties that a business owner/shareholder faces, therefore having the correct insurance in place gives added value and stability. ​Sponsorship is a tricky area with a number of potential pitfalls. Just like a huge number of expense claims you have to look at any potential sponsorship expense with common sense to understand how your limited company would receive tax relief. If you ever wondered how 123 Contracting compares to other specialist freelance contractor accountants then you need wonder no more.​ Take a look at our new How We Compare page which shows a break down of our service The 123 Way and how much we charge. This is our basic introduction to Principle Private Residence Relief (PPR). This is a basic introduction to Capital Gain Tax (CGT) for individuals. ​February is very much the calm after the storm for most accountancy firms - the hectic nature of Personal Tax Return Seasons ended on 31 January and now they will be winding down to enjoy a more relaxed February.....Not us! ​P11D's are the form that is filed for the vast majority of freelance contractors telling HMRC how much you have received in benefits and expenses such as private health insurance or travel expenses. 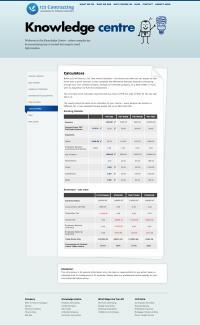 ​For a while we believe we have had the most detailed freelance contractor calculator available. ​Our calculator shows a direct comparison between many different taxes and compares what you should expect to take home from working as a permanent employed person, through an Umbrella Company, as a Sole Trader or through your own Limited Company. For the next twenty referrals, each of the people who have referred them get entered into a prize draw to win £500 of vouchers of their choosing. YOU WANT TO READ THIS. The deadline for filing your personal self-assessment tax return is almost up-on-us, we understand that many people put their return off until the last minute - well this is it. ​The Chairman of the PCG (the membership organisation for freelancers) met with a House of Lords Select Committee towards the end of December to answer questions on freelance contracting and IR35. ​We would like to wish all of our clients, our partners, staff and followers a very merry Christmas - we hope you all have a lovely break and we look forward to a prosperous 2014 for all freelance contractors! ​The deadline for filing your personal self-assessment tax return is fast approaching and with Christmas and New Year falling in-between now and 31 January 2014 (the deadline) many people put their return off until the last minute. In the Autumn Statement George Osborne stated that HMRC would be asked to target those that are falsely classed as being self-employed. ​PCG, the association for contractors and freelancers, has condemned artificial avoidance schemes following a recent case won by HMRC. So you are a freelance contractor and you really enjoy the extra freedom and control it gives you over your life but you would really like to take it that step further.......how can I carry on freelancing but from a beach? ​So you are a freelance contractor working through your own Limited Company and your spouse has just been offered a short term contract, would it make sense to put this through your company? ​Insurance company LV has released a survey into the contractor and small business market stating that there are now over 1.7 million contractors working in contracting jobs. ​Travel costs are an allowable expense as long as they are for the following: - Travelling that must be undertaken to perform your business duties. - Not journeys which, are ordinary commuting or private travel. ​The demand for freelance contractors is at a six year high according to the Report on Jobs by REC (the leading recruitment body) and KPMG (one of the big four accountancy firms). Our clients are contractors just like you who want a tax efficient but prudent way of working in the UK. This is what we offer. Stamp Duty - one of the most hated taxes. Over a quarter of all property purchases in the UK last year incurred the higher rate of stamp duty having to pay over 7,500 pounds in tax to the treasury. RTI, what is that then? RTI is the new filing method for PAYE returns that came into force for all companies in the UK in April 2013. So personal tax return season is in full swing with paper returns due by 31 October 2013 and electronic returns due by 31 January 2014. You may think this is a long way off but don't, it takes time to collect all your information together, submit it to us for us to review and we usually have extra questions so now is the time to act. So did you happen to watch Panorama on BBC 1 this evening? So did you happen to watch Panorama on BBC 1 this evening? If not then you missed an HMRC appointee to a government backed panel tasked with curbing tax avoidance being outed for advising people who came to his seminars in how they could "keep money out of the chancellor's grubby mitts." Refer a friend or colleague today - look at what you get! Why not refer a friend or colleague to 123 Contracting - it's simple and we have a great way to say thank you! The National Audit Office (NAO) has released it's report into HMRC and warns that HMRC failed to collect £9.6 billion of VAT in 2010-11. It has also warned that there are widespread errors and issues of fraud in the payment of personal tax credits. If you've come over to the UK to work as a freelance contractor then more likely than not you're going to want to send some of the money you earn back home. If you choose to freelance through a Limited Company then your personal finances are separate to your company’s finances - you and your company are separate legal entities, therefore you as a director have to prepare a personal self-assessment tax return each year. HMRC have now set up four new specialist teams solely tasked with status enquiries. With around 12 inspectors in each team they have the potential to undertake over 1,200 enquiries per year. We are therefore likely to see an increase in the number of IR35 enquiries being undertaken. If you are contracting for more than 3 months, or it is your aim to contract for the foreseeable future then the limited company route is the best way to go. By contracting through your own limited company you are much more tax efficient, giving you more money in your pocket. A Limited Company has certain secretarial and record keeping duties that must be performed by law. The main one is to keep an up-to-date and complete set of Statutory Books. The Statutory Books contain copies of all the official documents and forms that have been filed for the company. To pay yourself a monthly salary, you need to first set-up a payroll scheme with HMRC. This is known as a PAYE scheme. You’ll be happy to know that this registration is included in The 123 Way. If you’ve just set up your Limited Company then one of the first things you need to do is open a Company bank account. As a Limited Company is a separate legal entity to you, you can not use your own personal current account to pay in money from clients. VAT - which scheme to choose? The Standard VAT Scheme allows you to claim back any VAT you have incurred on expenses. For instance if you were to buy a computer costing £1,200 the first £1,000 of this is the fee paid to the shop for the computer with the additional £200 being the VAT that the shop will then pay to HMRC. You would then be able to claim this £200 back from HMRC when you file your VAT return. Inland Revenue Corporation Tax is the tax due on company profits. Once the accounting profit is worked out for a company, it is then turned into the taxable profit by adding back certain expenses that are not tax deductible and taking out certain capital allowances that act as tax reliefs and reduce the company's tax bill. This is a quite a complex process as there are literally thousands or rules regarding what you can and can not claim as tax deductible. 123Books - Bookkeeping that is so easy to use! If you haven't checked out the Client Area of our new website then now is a great time to do so. We have produced a series on short videos to help you when filling in your 123Books, each video is only a minute or so long and explains how to fill in each tab of the 123Books. A Limited Company must prepare a set of financial accounts each year to submit to various authorities. It is the responsibility of the company directors to ensure this is done and filed within the appropriate deadline. What do Limited Company Accounts contain? The number of benefits is huge but we will try to sum up some of the main ones. 1. Firstly you can charge a much higher rate for doing the same work as a permanent employee. This is because the client will not have to pay tax on what they pay you as they would with a permanent member of staff - they save a great deal of money so you can charge a higher rate. Do I really need a contractor specialist accountant? Some contractors start out by thinking an accountant is an added expense that they don't need. We believe that hiring a contractor specialist accountant is one of the best moves any contractor will make. It's obvious that this would be our opinion, but we're going to explain why it makes so much sense with just two reasons. When starting out most freelance contractors use recruitment agencies to find their first few contracts. Over time you will build up a base of clients who will start coming straight to you. It is always a good idea to ensure your CV, show-reel or portfolio is fully up-to-date - this will really help you to secure that next contract. The age old question - Ltd Company or Umbrella? Well the simple fact is that freelance contracting through your own Ltd Company is much more tax efficient than working through an umbrella company. So why do some people still use umbrella companies? Travel costs are an allowable expense as long as they are for the following: - Travelling that must be undertaken to perform your duties. - Not journeys which, are ordinary commuting or private travel. Over the last few years many contractors have chosen to boost their chances of winning contracts by investing in themselves. Training expenses fall into two different categories for tax, those that develop your current skills and those that give you new skills - below are the details. Tax Allowances - have you used yours before it's too late? We're fast approaching the end of the 2012-13 tax year - 5 April 2013 - if you have not used up your personal tax allowances by this date you will loose the benefit that they provide. Real Time Information or RTI as it is known is on the way, but what does it mean for you? The 2013-14 tax year is almost here, check out what is changing and what is not - see how it effects you. Corporation Tax: The small profits rate paid by contractor companies stays at 20% having been reduced from 21% in April 2011. The deadline to file your personal Self-Assessment tax return is 31 January 2012. This might feel like a long time into the future but it really isn't! When we started 123 Contracting we wanted to run a business that was ethical and environmentally focused. We've managed to be quite successful by creating a paperless office, sourcing our energy supplies from renewable energy sources and cycling rather than driving to the great majority of our meetings. Simple things that we believe nearly all business can implement. Working through a limited company is almost always the most tax efficient option for Contractors; however you can reduce both personal and corporate taxation even further by using your company to invest towards an income in retirement.